Emily and Lydia came to visit us on Tuesday. They had a teacher only day so Mrs driver very kindly said that they could come and help in Room 13. 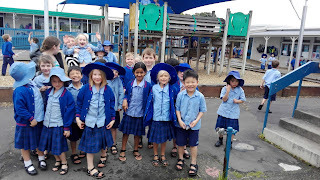 We had lots of fun, Reading, Writing and playing together. Lunch time play was the most fun, playing together on the playground.